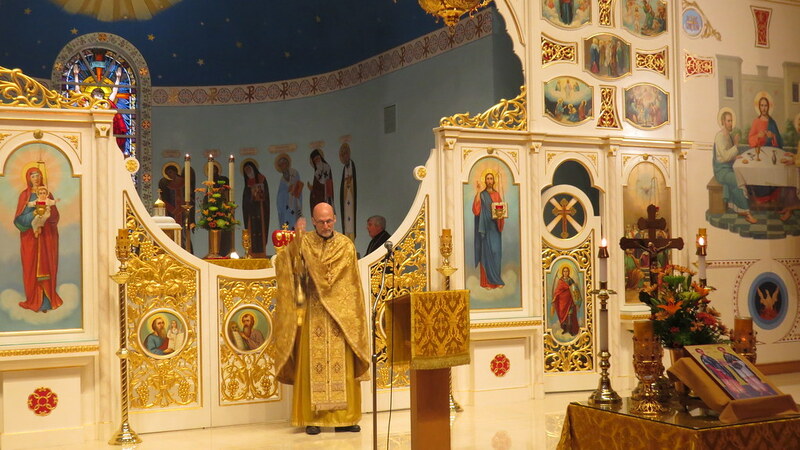 On Sunday November 18, 2018, the Holy Ghost Parish family welcomed their new priest, the Very Rev. Protopresbyter Peter Paproski, along with Pani Carol and sons Daniel and Timothy. The day began with the celebration of Divine Liturgy with the responses being rendered by the Holy Ghost Parish Choir under the direction of Susan Koss. A luncheon in honor of Fr. Peter and his family followed at the Social Center. The Grace of the Holy Spirit infused every aspect of this blessed day, beginning with Divine Liturgy and continuing at the Agape Meal. A beautiful start to a new chapter in the life of this God-Protected Parish.